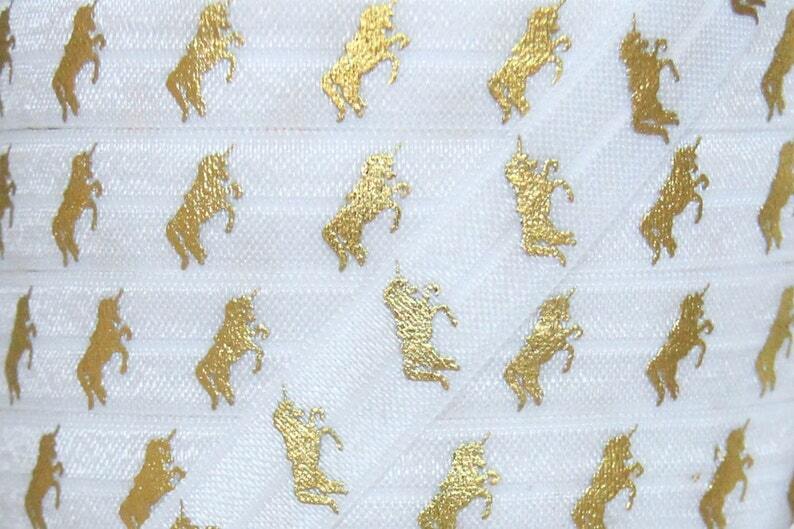 This listing is for 5 yards of soft and stretchy fold over elastic (FOE) in White and Gold Metallic Unicorn Print. The elastic is shiny on one side and matte on the other. Perfect for DIY headbands, hair ties and other accessories. Probably my favorite elastic to date!!!! I cannot express how excited I was to see this and hope to buy more soon.